The 8th Dhaka Textile & Garment exhibition was successfully held at BICC. Bangabandhu international conference center from 13th to 16th Feb. 2011. 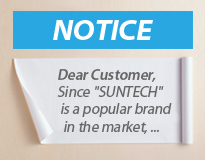 Suntech sincerely invited our old and new customers to visit our booth and we displayed the newest Knitted Fabric Inspection Machine. The newest Knitted Fabric Inspection Machine we showed were well received in the exhibition.